Fly over the vibrant city of London in your helicopter as part on your London aircharter, which enables you to miss all the busy rail and road networks below. Using a London aircharter makes sense for accessing or leaving the UK’s capital and the many people it attracts, for both work and pleasure, as they clog up the infrastructure and cause delays. Efficient travel is enhanced by the luxury and comfort that a London aircharter service provides as well as relieving you of the stresses and frustrations of traffic jams and cancelled or overcrowded trains. Travel smarter using point to point travel to get you closer to your destination and save you time, especially if you have already flown some of the journey in the comfort and convenience of a private jet. You will not wish to spoil the experience with the traffic problems associated with the south and south-east of England around the busy capital city. If time is precious to you it makes sense to finish the final leg of any journey with a London aircharter helicopter flying you over those last few miles, which can take ages. Escape from the constraints of timetables and worrying about the logistics of travelling by using an aircharter from London to give you greater flexibility. Arrive where you want to be, when you want to be there, without worrying about being late for your business meeting or the start of a London show. Travelling by aircharter in London means you are spared the worry of numerous logistical calculations with the Tube and factoring in possible delays by road, rail and even scheduled flights as a chauffeur driven car can be waiting for you at the heliport. Benefit from a professional, experienced and customer-focused team who will provide you with free advice about the best departure and landing sites as well as the best helicopter for your requirements from an extensive London aircharter fleet. Your bespoke service includes a pilot who is fully attuned to the needs of yourself and any guests, so that you will make a great first impression as well as enjoying a comfortable, convenient journey. Arrive feeling refreshed, as your aircharter from London gives you peace of mind with its personal and discreet service; more than just a means of travelling. Sit back, relax and enjoy the views or prepare for your meeting without worrying about other commuters. 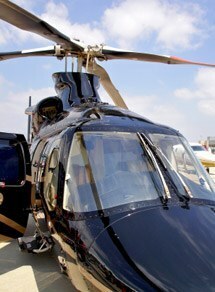 Using an aircharter in London is a lifestyle option for the discerning passenger.